Baccano! 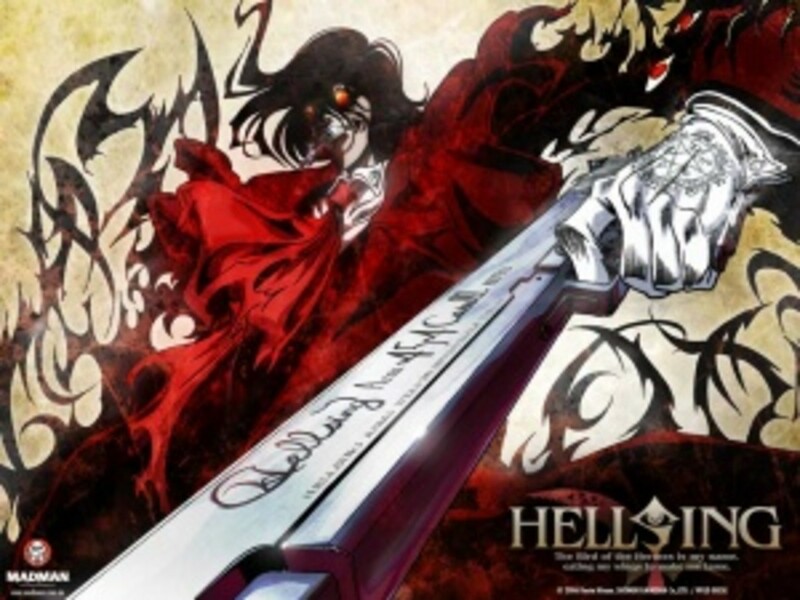 is a sixteen episode Japanese anime series that aired from July 26, 2007 until November 1, 2007 on WOWOW. It was directed by Takahiro Omoro and produced by the studio called Brian's Base. The North American license is given to FUNimation Entertainment, the Australian license is given to Madman Entertainment, and the British license is given to Manga Entertainment. Currently you can watch Japanese language episodes with English subtitles on the FUNimation Channel's website or on its YouTube account. Instead of Baccano! 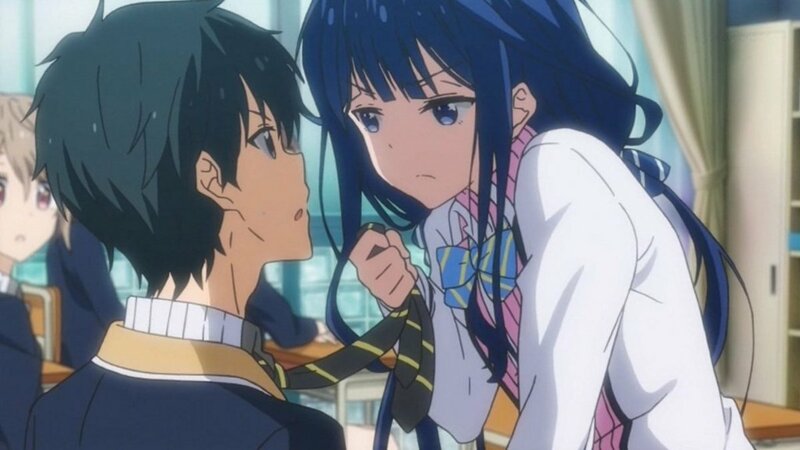 originating from a manga, it originated from a light novel written by Ryohgo Narita and illustrated by Katsumi Enami. It is published by ASCII Media Works and is circulated on the Dengeki Bunko imprint. The run started from February 2003 to the present as it's still in circulation. There is also a 2-volume manga called Baccano! 1931 The Grand Punk Railroad. 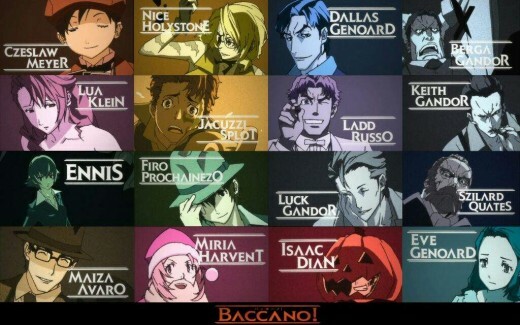 This series has a very diverse and colorful cast of characters that play an important role to Baccano!. Also this is somewhat connected to the supernatural anime series called Durarara!! Baccano! and Durarara!! exist in the same story universe. No streaming service is showing episodes of Baccano! at the moment. 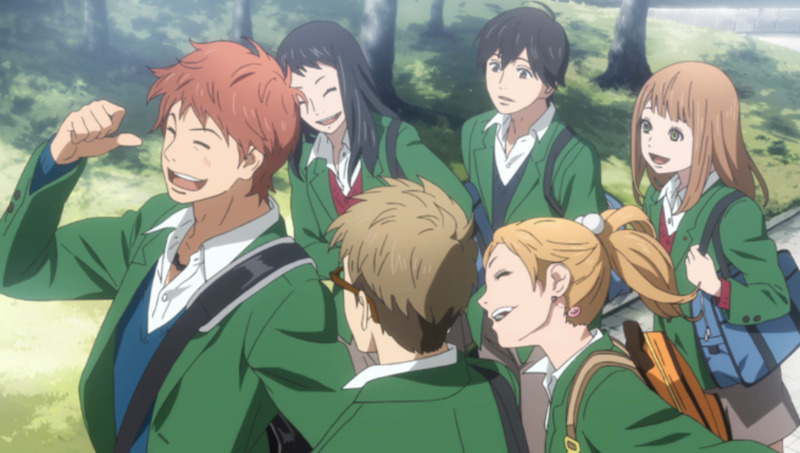 Funimation's license to exclusively stream the series expired on February 8, 2016 and there has been no confirmation on who currently holds the regional streaming license. Aniplex of America still holds the exclusive license to distribute the anime across North America on Blu-Ray. Unless you watch the series from the start, you are going to get confused for the most part. The two main time periods of Baccano! are in 1711 and in 1931. But, the story is told from the different characters in 1930, 1931, and 1933. Each episode goes back and forth between events happening between those three years and at certain points of the story. That's pretty much the worse part of the story, but then again it may seem necessary as the series was only sixteen episodes. In 1711, a group of alchemists on board the Advenna Avis summon a demon. The demon gives one of the alchemists a recipe for immortality. The potion works, but, one of the alchemists named Szilard Quates gets greedy and starts “devouring” one person after another. He wants to recreate the elixir, but Szilard needs to devour the right person because that person has the information. The rest of the immortal alchemists quickly scatter across the globe to elude Szilard. This establishes the plot of immortality and is told from three different perspectives in the three different years. In 1930 New York City, it is revealed that Szilard managed to recreate the elixir, but it gets stolen. Then the bottles of elixir get mistaken for wine more immortals are created as a consequence. Szilard tries to get the elixir back and crosses paths with an old enemy. This is perhaps the most significant as this takes place during the Prohibition period where alcohol consumption was illegal. In 1931, the story takes place on board an transcontinental train called the Flying Pussyfoot. The train gets hijacked by the Runorata family. It ends up being a showdown between two mafia families. This time, the story focuses on two people from the New York City storyline along with the introduction of a young immortal named Czeslaw Meyer. During the scuffle, a cult and a bootlegging gang gets thrown into the mix. The focus of this story is trying to neutralize the gang wars on the train while trying to make it in one piece to Manhattan. In 1933, the story follows the aftermath of what had happened back in 1930. This involves the Gandor family, the sister of the person who stole Szilard's elixir, and the newspaper called Daily Days. The Daily Days is tasked with investing the events from 1711 to 1930. You have the origin of immortality, the 1930's creation of new immortals, the 1931 reunion, and the 1933 aftermath. The characters play a very crucial role to Baccano! While there is plenty of action in Baccano!, it doesn't drive the story. It's the characters and the plot that drive the story. You have a very diverse cast of characters who are crucial in telling the story from their own different perspectives. As you progress through the series, you will see how all the stories inevitably connect with each other. In short, Baccano! has a very large cast of characters who contribute something important to the anime. Firo comes off as being the “new hero” of the series. When joining Martillo family, he became friends with Maiza Avaro who is one of the original alchemists. He becomes immortal by accidentally drinking a bottle of elixir after mistaking it for wine. So far, he can be considered the “young blood” of the series. Chane is an attractive mute female who can telepathically communicate with her adopted father Huey Laforet who is also one of the original alchemists on board. She is incredibly loyal to Huey. While being mute, she is a very good fighter. Jacuzzi is perhaps my most favorite character of them all. In the story, he's very shy and polite. However he comes off as a paradox. While Jacuzzi can easily be freaked out, he can be a courageous leader at the same time. He's known as a complete crybaby. Even when being courageous, Jacuzzi's known to cry in tears while doing so. Also, he has a sword tattoo on the side of his face to match that of his girlfriend, Nice who has part of her face scarred due to an accident with explosives. Nice has a mellow personality despite having surgery done to her face and missing her right eye. Of all the characters in Baccano!, Nice is an expert with explosives. She's not one to mess with due to carrying bombs underneath her clothing. The two of them are the comic relief of the series. They are lovers and partners-in-crime. However, they are known to be rather incompetent. Both of those characters play an important role in 1930, 1931, and 1933. In a sense, they can be seen as the “true main characters” of Baccano!. They gained their immortality the same way Firo did. It turned out that they were inadvertently responsible for creating the new immortals. The funny part is that the two of them are very ignorant about their immortality. They don't realize it until centuries later into the future. They do briefly appear in one episode of Durarara!! Claire is a legendary assassin who used to be a trapeze artist. He is perhaps the most dynamic of all the characters. Claire can be very sadistic, confident, and solipsistic for the most part. Asides from Jacuzzi, Claire is perhaps my second most favorite character in the whole Baccano series. Graham is a member of the Russo family mafia. He's known to speak loud and quickly while contradicting himself. He's known to carry a very large wrench around. Ennis is a homuculus created by Szilard. Originally with no emotions, she eventually develops them and turns on Szilard. Afterward, she's able to live the rest of her life like a normal human being. While being created from Szilard's DNA. Thus, Ennis is already immortal. The music score seems to feel appropriate with the time setting of Baccano! The creators of Baccano! really went to give the authentic feel of the 1930s. Baccano's opening song has that jazzy theme that feels like the 1930s. If you watched the HBO series Boardwalk Empire, then you can appreciate the musical score of Baccano! The score has that feeling that's appropriate with the different points of the storyline. Baccano! 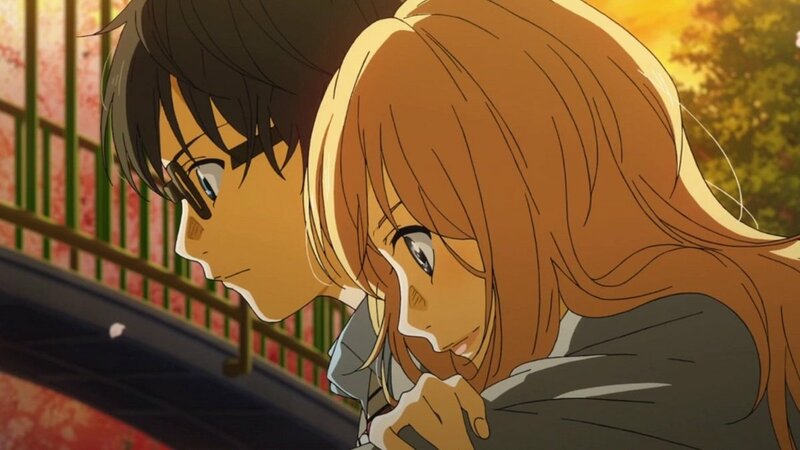 is overall a great anime series to watch, but unfortunately, the story gets confusing as each episode jumps back and forth between the three different years. If you start from the first episode, you'll be able to quickly be able to catch on with the shifts between the three different stories. This is a type of anime that is just about for anybody. It has a pretty good storyline and a very great ensemble cast of characters. 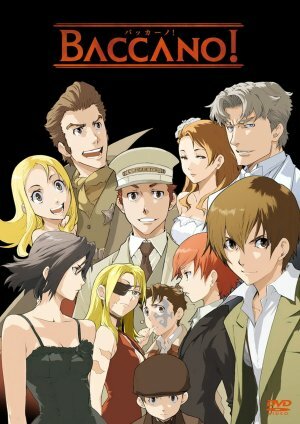 If you are looking for a great character and plot-driven story, then Baccano! is good. If you have seen Durarara! !, then you should watch Baccano!